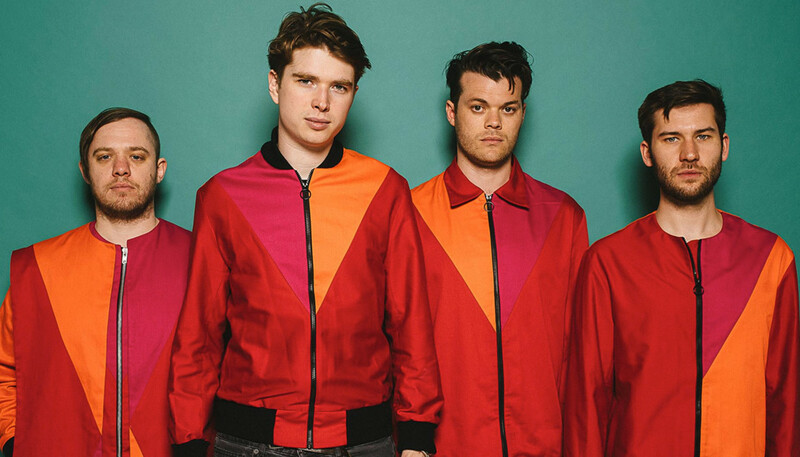 Having worked with Stuart Price on the paranoid pop of 2015's Get To Heaven, Everything Everything recruited Simian Mobile Disco’s James Ford for a set that sees them reconnecting with their musical roots. Here multi-instrumentalist Alex Robertshaw and drummer Michael Spearman discuss the influence of Ford, Warp Records, OK Computer and Donald Trump on A Fever Dream, and reflect on 10 years of Everything Everything. Congratulations on the extremely creepy video for ‘Can’t Do’. Those masks are pretty unsettling. Michael Spearman: Yeah, my mum doesn’t like it. She said it was creepy and horrible. Alex Robertshaw: Jon [Higgs, singer] found the masks. This record is based around early Warp Records stuff, so we were looking at those great Aphex Twin images that make you feel uncomfortable, to fit in with the whole notion of a fever dream. You reference Warp, but there’s a real rock feel to some of the tracks too. AR: Yep, I feel like my 14-year-old self is finally being satiated, where I was all about Warp and Ok Computer and Nirvana and Weezer. Ok Computer is still an important part of my life; it got me into music and playing guitar more and more, and appreciating that bands can be more than just three-chord nonsense. We didn’t want to feel ashamed of being a guitar band. Discussing your last album, Jonathan said that he wanted it to be “like a sledgehammer.” What was the goal for A Fever Dream? AR: I started a lot of the writing for this record, so for me personally it was about reigniting the flame of my [interests from] childhood. I felt like a lot of the stuff we’d written before was courting R&B and hip hop and stuff, with Arc and Get To Heaven. And that was cool, but with this record I really want to connect with what I was into. We didn’t want to feel ashamed of being a guitar band, or doing music that makes us happy, or to feel a duty to bamboozle people or whatever. Writing was much more natural. MS: And quicker as well, because we weren’t trying to make things work; it was just a case of bringing a certain side to the fore. AR: Musically, it’s our most honest record, I think. 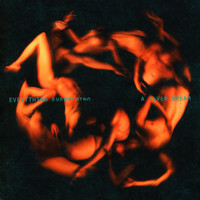 A Fever Dream might be your most honest album, but musically it’s still very complex. You’re still not making it easy for yourselves, are you? AR: Going back to these Warp Records references, a lot of that stuff is known for having really interesting drums, so I was writing a lot of drum beats that were almost impossible to play. And then Michael’s learned them all, and improved them. Guitar-wise we wanted to do more solo-y type stuff, and be a bit more adventurous all round. So it’s a lot harder record to play and really exciting to listen to, and hopefully not impossible for people to understand. We wanted to be direct. MS: There are obviously some heavy riffs and some of the album is very electronic, but musically I think it’s more cohesive. I suppose part of our manifesto as a band is not to repeat ourselves. And of course, the more you do the harder it is to not repeat yourself. We don’t really want people to be able to pinpoint our sound too easily. I think we’re slightly paranoid that people see us as the wacky band, or whatever. Can you tell us about your decision to swap Get To Heaven-producer Stuart Price for James Ford? AR: Well we’ve played James demos in the past and he hasn’t been into it. (Laughs) Or he’s been busy and has other projects on. But this time, he was like, “Yeah it’s perfect for me.” Stuart Price was incredible as well and that was an amazing record to make. Everyone we’ve worked with has generally been the right person for the record at that time. MS: We did ‘Can’t Do’ with James as a tester and we just got on very naturally and easily. AR: He got what we were trying to project in the writing, and he managed to enhance it, which is the best thing a producer can do. MS: No. But things were coming to a head at that point, and now things have come to a head with Trump and Brexit. AR: The whole world feels like a nightmare, or some sort of crazy dream, with Trump being in power and other things that you would never think would happen have happened. It’s like some crazy Alice in Wonderland thing is happening. So A Fever Dream is not overtly political or directly referencing things, as Get To Heaven was. Jonathan finds the idea of telling people how he feels is boring, so he’s talking from a view point of not really understanding what was going on. It’s about posing questions. Was that partially about self-preservation – so he didn’t have to immerse himself in that world? MS: I think we engineered it so he didn’t have a chance to have too much time at home. Because it’s so binary what we do: we’re either away and playing different places and having a topsy-turvy existence on the road, or you’re at home catching up with boring stuff. It’s very easy to get isolated in these bubbles and we had to guard against that as best we could. So I remember thinking we finished our record, and thought it was time to step away from the news. AR: There’s a sick enjoyment people get out of putting themselves through it as well. Like, “I cannot believe this is happening.” And then everyone can sit around shouting at each other, making each other feel awful. (Laughs) You know, just being so upset with what’s going on around you instead of actually going out and doing something useful. ‘Ivory Tower’ sounds like it’s made up of internet soundbites? AR: Yeah, yeah. Jon had to remove himself from Reddit because he was just watching people say the most horrific sh*t to each other so the whole point of that song is the concept that in a social space you can hide behind anonymity. It’s just about trolling, essentially. That’s why he says some really horrendous stuff in the song; it’s not coming from Jon’s mouth, it’s coming from different characters that are within this world. So yeah it’s just about conflict and wanting it to end, and the song spirals out of control. How else did the political and social climate influence the album? AR: Well ‘Big Game’ is to do with Trump, and the idea that someone can be in power and yet be incredibly childish. So the whole point is that it’s meant to be naive and childish, and the language is like schoolyard bullying and lying. What were the challenges making this record in particular? MS: It was less challenging, I thought. It’s 10 years since you formed in September, right? Is there anything you wish you’d known when you were starting out? AR: I wish we’d been more honest in our writing sometimes. I think there were times in the past when we’ve written songs that we thought would be good because they’d get on the radio. I think it’s down to being more confident, essentially. MS: It’s a hard game to play, but I think we’ve played it pretty well, really. You’re learning on the job because your first album is the first album you ever make it. If you look at film makers, they’ll do low budget films and then they’ll come out with their studio film with 10 small films under their belt. But with music you see the works in progress. We definitely learned a lot from the first two albums. Are there any unfulfilled ambitions? AR: Yeah, I think the next record is going to be entirely more about the songwriting as a core thing. I want to write classic songs, and for it all to be about melody and harmony.